LONDON — Arsenal midfielder Granit Xhaka has been questioned by police after being accused of racially abusing an employee at Heathrow Airport, the Daily Telegraph newspaper reported. The paper said that the Switzerland international was taken to a west London police station for questioning Monday evening. Arsenal says "this is a private matter in the hands of the police." 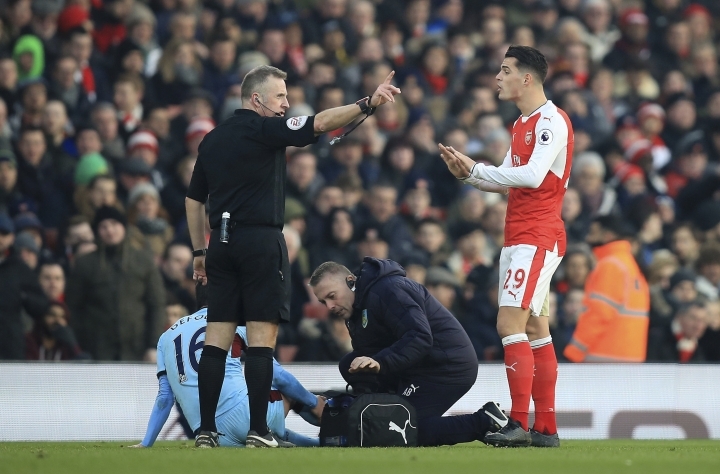 The Telegraph reported that Xhaka, who was sent off during Arsenal's 2-1 Premier League victory over Burnley on Sunday, disputes the words he is accused of saying and denies saying anything directly to the employee.